Private Princess opening line: Cracked leather touched rich soil. Jack Morgan is back in London, ready for his next case. And to pursue his relationship. He has been asked by the Princess to find a missing person. But this missing person is more than just a friend. And by looking for her, Jack’s life is at risk. He doesn’t know why at first, and by the time he finds out, it is too late. 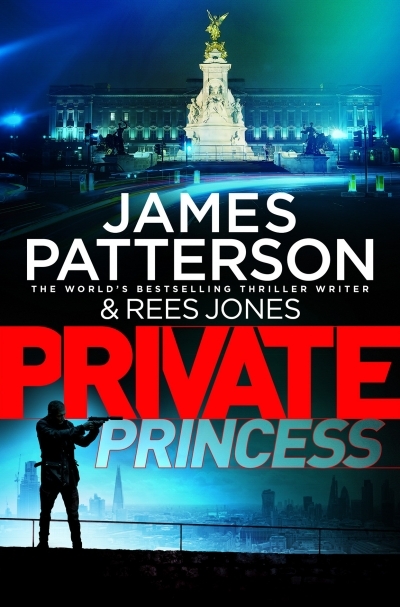 Jack Morgan receives an offer he cannot refuse… When the head of the world’s foremost investigation agency is invited to meet Princess Caroline, third in line to the British throne, he boards his Gulfstream jet and flies straight to London. The Princess needs Morgan’s skills, and his discretion. Sophie Edwards, a close friend of the royal, has gone missing. She needs to be found before the media become aware of it. Morgan knows there is more to this case than he is being told. But what is the Princess hiding? I love the Private series of books, even though I have not read them all. The great thing with these books is that they are stand alone. You do not need to know what has happened before in the personal lives of the character’s. Page 248: You’re the head of royal security, and a solider. Should be soldier. Thankfully not that many in the books I read. You are very observant to have picked up that error, Tandy. I don’t think I would have. My Mother loves James Patterson so I will read your review to her. I pick up typos all over the show.